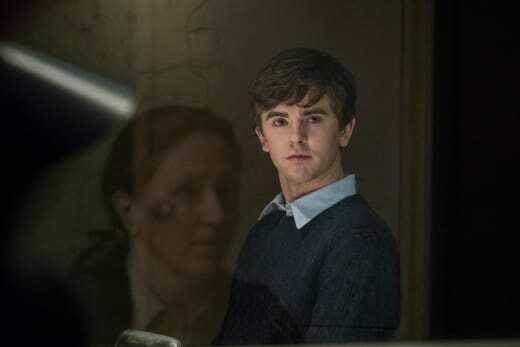 Freddie Highmore made his directorial debut on Bates Motel Season 5 Episode 8 with a rather sedate episode that ended with quite a bang. Norma finally took full control Norman's mind to try to get him out of the huge pickle he got himself into. But Norman already said way too much, so there wasn't really anything Norma could do to help her son. It almost seemed like Norman would get out of the situation when Sheriff Greene told him he was just a child looking for attention, but Norman kept insisting he did indeed murder Sam Loomis. When Norma took over, she tried to pin the murder on Madeline which was a bold move on her part, but it was obvious the lie wasn't going to hold water. But Norma is cocky, and the look she gave Madeline through the window was absolutely chilling. At that moment, Madeline saw a Norman she didn't recognize. Greene saw the change in Norman earlier after he was put in the cell. His whole demeanor was completely different. Greene probably doesn't know the extent of Norman's sickness right now. All she knows is something is not right. Norman thought he was going to escape from Norma, but leave it to Norma to try to save the day. That's what good mother's do, after all, right? It was sad to watch as Norman disintegrated even further into his sickness. It's too bad Norma showed up before the pills had a chance to kick in because Norman was looking forward to being free of what he had done. He was willing to accept the consequences and didn't want Mother's help to fix anything. He needs to be free, and the only way he's going to be is if Norma goes away. But that doesn't seem likely. Norman isn't alone, yet he's very alone. And it's very, very sad. It wasn't surprising that the sheriff's department finally figured out the woman they pulled from the lake was Emma's mom. If the department did a little more digging they might find even more bodies. I can't remember how many he dumped in the lake over the course of the series, but there's a lot more than just the two they pulled out. How long before they find those bodies, as well? Dylan may find himself in a bit of trouble, too. He's trying to protect his brother, but Sheriff Greene is one smart cookie. He's not going to be able to hide that he had suspicions about Norman killing Audrey. He already admitted as much to the lawyer. But he also lied to her about what happened the night before in the house. He didn't tell anyone Norman came at him with a knife...just that Norman hit him with a glass. While it's admirable for Dylan to try to protect his brother, he also has a family to look out for, and he's not thinking straight right now. Sheriff Greene already has a whiff of something, and Dylan better hope it fades away otherwise he's going to find himself in just as much of a pickle as his brother. And how will Emma react when she finds out Audrey is dead? Will she come forward and tell Greene about the earrings? Will she forgive Dylan for not doing anything earlier? It's going to be interesting to see how it all plays out. Romero finally found his gun which was unfortunate for Chick. I still can't believe Romero shot him, but Romero wanted to shoot someone, and Chick was the only one available. Despite the shock, the scene between Chick and Romero was fantastically done. Chick's nonstop yapping would drive anyone crazy, but he didn't deserve to be shot in the head. The artificiality of a scripted drama doesn't hold a candle to true crime. 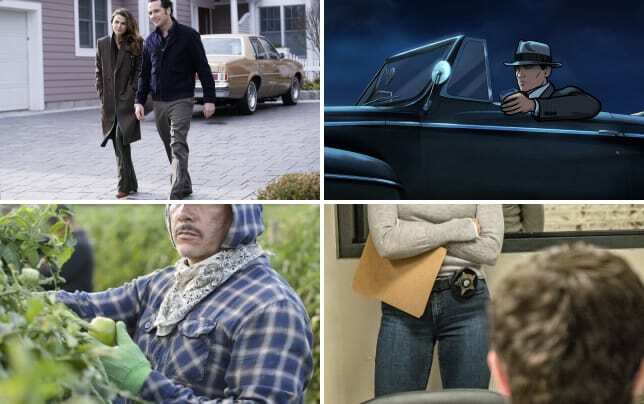 Permalink: The artificiality of a scripted drama doesn't hold a candle to true crime. 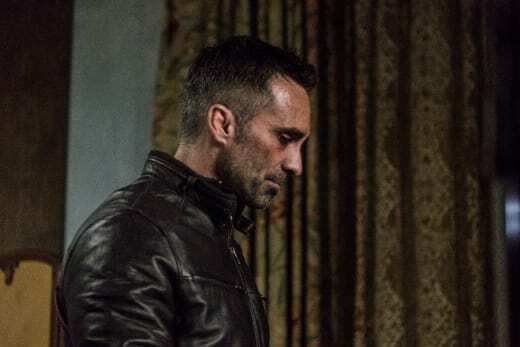 It was heartbreaking seeing Romero reminisce about Norma. He truly loved her, and they would have had a happy life together if things didn't turn out the way they did. But still. Did he really need to shoot Chick? I'm going to miss him. Romero has nothing to lose at this point, and he's a loose cannon. He's going to go after Norman and exact his revenge whether he's in custody or not. Will the series end with Norman being sent to a mental institution? I know I've said this before, but I hope that's not the case. What will happen to Romero if Norman is just sent away? Will he die at the hands of the cops while trying to kill Norman? Will he just end up back in jail? Or will Romero kill Norman? That's how I'd like it to end. But then there's the question of Romero's fate if that happened. Would he commit suicide after shooting Norman? Would he be killed by the cops? There are only two episodes left (can you believe it?! ), and it's not going to be pretty for anyone involved in this sick saga. What I really enjoyed most about this episode was how Norman's loneliness was so effectively portrayed. Norman sitting all alone in his cell, being all alone in the interrogation room – those instances painted a sad picture of a young man who is completely lost and completely alone. What did you think of "The Body"? Were you surprised Romero killed Chick? Will Romero kill Norman? Hit the comments and share your thoughts! If you need to catch up, you can watch Bates Motel online right here via TV Fanatic. He's not a bad person. He's not a criminal. He's crazy. Permalink: He's not a bad person. He's not a criminal. He's crazy. From where I'm sitting you're a child and children sometimes act out. Almost always because they feel ignored. So I'm starting to think calling in all my cops, searching your motel, your house, questioning you now is just giving you exactly what you want. Attention.